Featured on the photo: Netumbo Nandi-Ndaitwah, Minister of Environment and Tourism (far left) and Dr. Laurie Marker (far right) with CCF’s 2012 award winners. From right to left, Dr. Dennis Profitt, winner of the 2012 Cheetah Conservationist of the Year award; Melba Tjozongoro, winner of the 2012 Cheetah Conservation Farmer of the Year Award; and Harald Fülle, accepting the 2012 Cheetah Conservation Business of the Year award on behalf of Continental Outdoor Media. © Cheetah Conservation Fund. For the 14th year, the Cheetah Conservation Fund (CCF) celebrated the speed and elegance of the cheetah at its Gala Fundraising Dinner at the Windhoek Country Club on 13 July. This year’s theme, Making Strides for Cheetahs, recognised key Namibians as well as CCF staff and volunteers who make strides in the conservation of cheetahs to ensure their survival in the wild. The lively evening included a musical performance by the well-known Trio Feminale con Ferdi, as well as a silent auction, candlelight dinner, conservation awards ceremony, and conservation speeches. Approximately 270 people attended the event, including individuals from the business, conservation, agriculture and government sectors in Namibia and internationally. Doug and Kris Tompkins, visiting from Chile and Argentina and President and Vice President respectively of the Foundation for Deep Ecology, were the special guest speakers and called attendees to action with their impassioned speech on conservation and philanthropy. Doug and Kris are widely recognised environmental activists who work to protect wildlands, biodiversity and communities, primarily in Chile and Argentina and specifically in Patagonia. Together they have received accolades such as the “Good Steward Award” from the International Conservation Caucus Foundation and “Environmental Leader of the Year” award from Latin Trade. CCF Founder and Executive Director, Dr. Laurie Marker, showed several short videos on CCF – Making Strides for the Cheetah – and emphasised the need to continue making strides into the future in applied conservation efforts in Namibia. With CCF’s Future Farmers of Africa training, its successful Livestock Guarding Dog programme, and pioneering work with the Greater Waterberg Complex, CCF is leading applied conservation in the cheetah’s race for survival. Dr. Marker also presented three 2012 Cheetah Conservation Awards, recognising conservationists, farmers, and smart business practitioners who help conserve the cheetah and the Namibian environment. Dr. Dennis Profitt was honoured as the 2012 Cheetah Conservationist of the Year. Dr. Profitt has had a successful dental practice in Otjiwarongo for over 25 years and has been looking after the dental health of CCF’s cheetahs for almost 20 years. CCF thanked him for his long-term contribution to their cheetahs’ health. 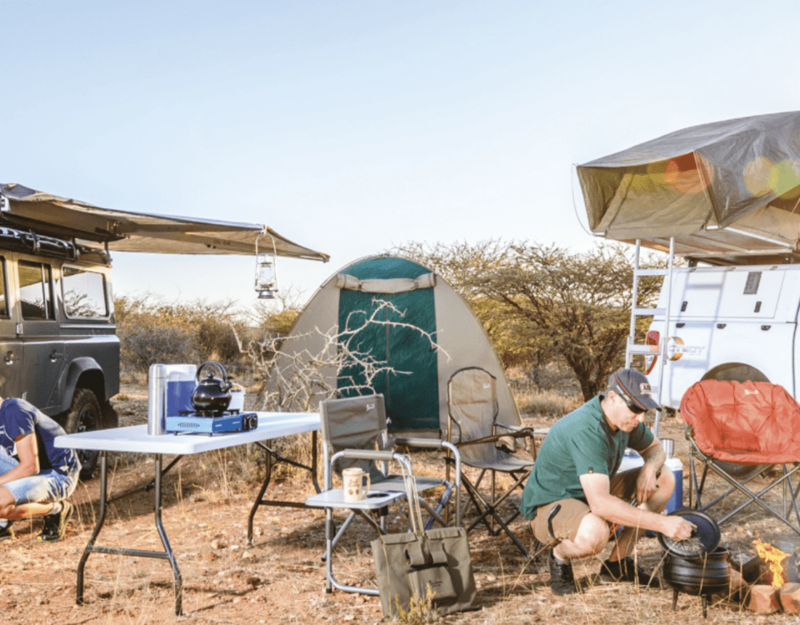 Continental Outdoor Media was honoured as the 2012 Cheetah Conservation Business of the Year for their innovative and highly effective use of company resources in support of wildlife conservation. Accepting the award Continental’s General Manager in Namibia, Mr. Harald Fülle.Melba Tjozongoro, an Agricultural Extension Officer in Gobabis, received the 2012 Cheetah Conservation Farmer of the Year Award. A woman of admirable achievement who started in subsistence farming, Melba sets an example to all Namibian farmers in her determination to learn farming skills, her desire to reduce livestock/predator conflict and her work in teaching and guiding new farmers. The evening’s keynote speaker, the Hon. Netumbo Nandi-Ndaitwah, Minister of Environment and Tourism, talked about the importance of the balance between the cheetah and conservation for the entire country’s ecosystem. The silent auction once again was a huge success, with over 100 items donated by local businesses, including recreational ‘get-aways’ at exclusive tourist venues, artwork, jewellery and Namibian craftwork. The wide range of auction items brought in contributions for CCF’s research, conservation and education programmes, all of which are supported through donations (more information on CCF’s conservation, education and research programmes is available at www.cheetah.org).